The internet can be a lonely place; it has the veneer of being an online ‘community’, but very few websites and online hangouts can truly claim to be. In fact, on any average day, the internet is awash with negativity; you can find it any comments section or discussion thread, and you won’t have to look hard. The anonymity of the internet is largely responsible, as no one is held accountable for what they say or write; but this anonymity can also be a good thing. 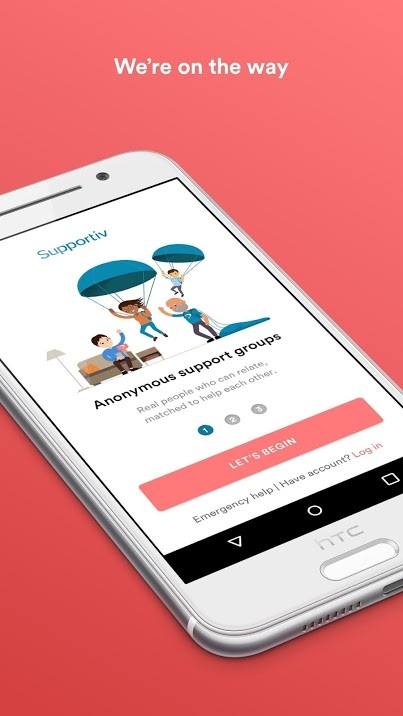 The developers behind a mental health app called Supportiv have transformed the anonymous digital community into a personalised support group, with great success. This transcendent idea is out now on iOS and Android. The app is designed as a gateway into a larger, mental health-focused community. There are no doctors or psychiatrists in Supportiv however; the idea is that other users going through the same issues are brought together and given a chance to talk through their problems and help each other out. 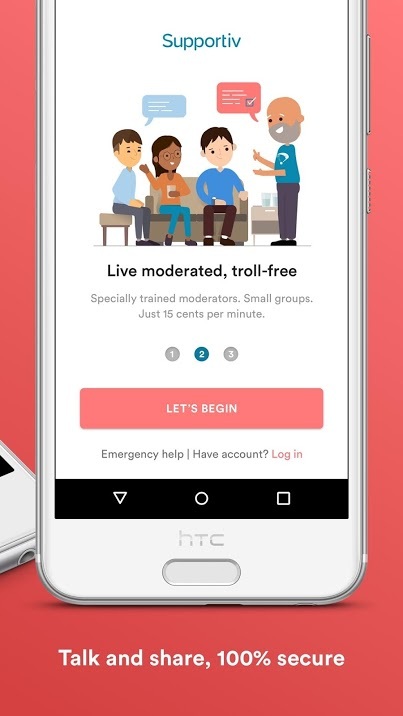 The app does this by creating a number of separate chat rooms, and guiding you into the one that suits you best. When you log onto the app, it asks you to highlight the area in your life that you’re having problems with. This could be relationships, work, school, family; even pets. Once you’ve chosen that, the next screen asks you to input the feeling associated with this area in your life. The choices range from frustration and anger to loneliness and general negativity. After that, you’re taken to the chat rooms, where you can join in with fellow users afflicted by the same thoughts. Supportiv is free to download, but joining the discussions costs 15c per minute. This is a pretty decent rate for the kind of support the platform provides; you’re not committed to staying for a set length of time (or a minimum), and if you don’t feel supported at the end of the session, you can get your money back. The app will also send you articles and relevant resources, making it easier for you to be instantly soothed, and hopefully making your day-to-day life a little bit brighter. Ultimately, Supportiv is a beautifully designed app with grand aspirations to help people and make a difference in their lives. 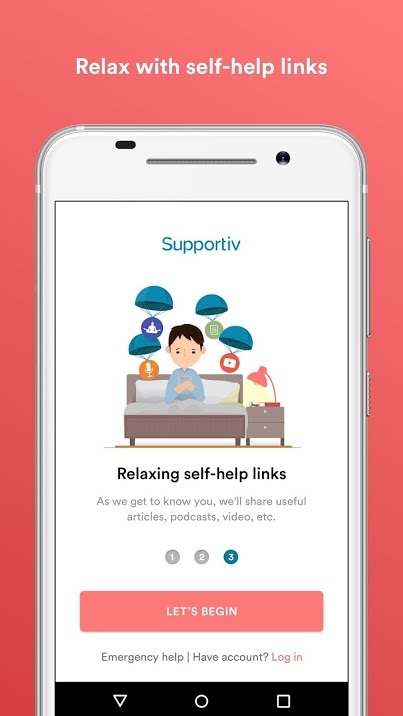 If you’re feeling stressed or overwhelmed and don’t fancy laying it all out on the line with a therapist, download Supportiv from the App Store or Google Play and see if you can lighten your mental load today!